Other posts on this quilt: Rainbow Strip Quilt Pt. 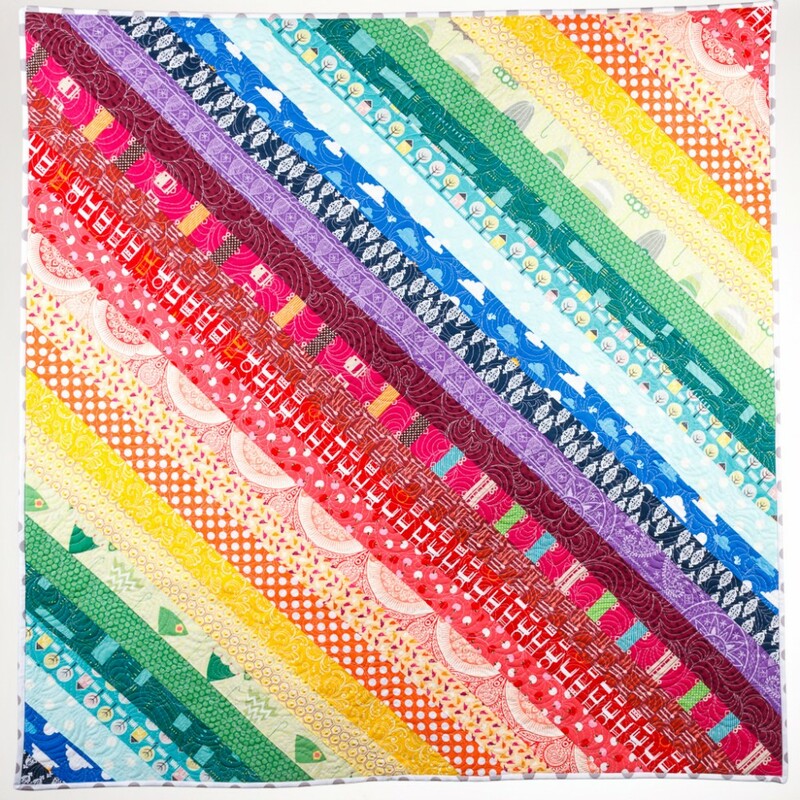 1, Rainbow Strip Quilt Pt. 2, Rainbow Strip Quilt Pt. 3. I never posted about this! Man, I am so behind. This has been sitting in my drafts since May. It was the first thing I put in my shop, and then somehow I never got this actual post up. I love this quilt. I really, truly love it. It’s bright, it was fun to make and fun to quilt. Who doesn’t love a rainbow? I loved it when I saw it and I love it here! This is such a great piece–colors are perfect together! Looking forward to seeing ya soon!